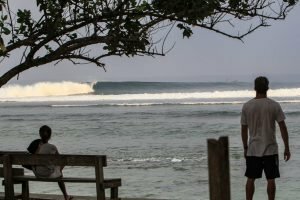 9 November, 2018, Bali-Indonesia: REnextop, together with the Asian Surf Cooperative (ASC) and Safari Xtreme are excited to announce the third and final stop of the 2018 REnextop Asian Surfing Tour (RAST), which will be held in the scenic beachside town of Cherating in Pahang on the east coast of Malaysia this coming 19th-22nd of December. Cherating is a small but cozy beach town that is about an hour’s drive north of Kuantan, and about a three-hour drive from the big city of Kuala Lumpur. 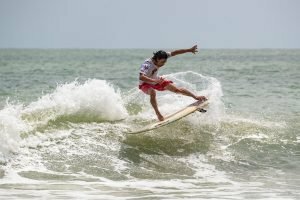 The Cherating surf season generally starts in late November and it can stil get waves until as late as March, which is due to its location on the west end of the South China Sea and the monsoon season. 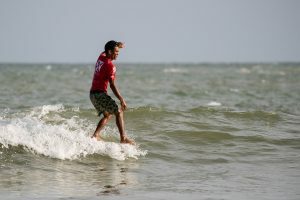 In the Men’s Shortboard Division Made “Bleronk” Darma Yasa has the championship all but won already with a first place finish in Phuket and an equal third place in Bali, but if his twin brother Darma Putra Tonjo wins the Malaysia event it would result in a tie at 1,730 points, the top two results of the three events counting towards the total. 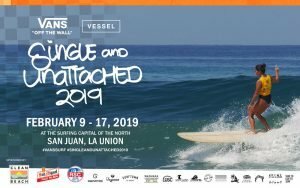 In the Men’s Longboard Division the race is still wide open, with 4 other surfers capable of knocking Benito Nerida off the top spot and winning the championship if they won the event; Dean Permana, Deni Firdaus, Mencos, and Rogelio “Jay-R” Esquivel. Esquivel by the way has the unique distinction of winning the Billabong Occy Grom Comp that was held in Cherating in 2010, when he was just a tiny grom, so no doubt he will be frothing to come back to Malaysia to post another win but this time in the Men’s Longboards and Shortboards. Check out the attached photos! In the Women’s Longboard Division, leader Aping Agudo can only be taken out by her fellow Filipina compatriot Daisy Valdez, Japanese pro and Thailand winner Natsumi Taoka, or tied by sister Ikit Agudo, or Korea’s Lena Mun. In the Women’s Shortboard Division the race is more wide open, with a variety of scenarios possible to unseat Bali’s Dhea Natasya, but as a goofy footer and used to surfing in a variety of conditions in Indonesia and around Asia, Natasya will not go down easy. 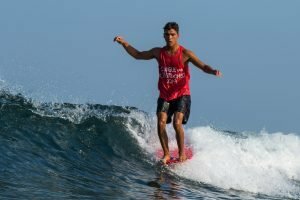 With an extra $1,000 USD on the line for each champion in the respective divisions, on top of the $11,700 USD prize purse, it’s expected that the event will draw surfers from China, Indonesia, Japan, Korea, the Philippines, the Maldives, India, Taiwan, Thailand, Singapore, and of course from all around Malaysia to this 4-day RAST championship event. There will be a Travel Guide document available in the next day with important information that will help you with travel and accommodation information. Through this series of competitions, REnextop will strengthen the integration of China’s surfing community with the international surfing world to provide more opportunities, communication avenues and interactions. 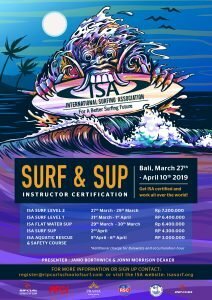 Surfers from various countries in the Asia-Pacific region including Japan, Korea, Indonesia, the Philippines, Malaysia and Taiwan are invited to compete in these events. REnextop is Asia’s first platform dedicated to helping extreme sportsmen and independent athletes to realize their dreams, and surfing is one of the most important extreme sports in REnextop. China’s top woman longboarder Monica Guo and top men’s longboarder TZ, are high-level surfers that are sponsored by the platform. Now they have become independent professional athletes traveling to surf and compete in the Asia Pacific region, setting an example for other Chinese surfers to follow and realize their dreams.